In this internet and digital world, peoples are watching videos for their entertainment, relaxation and gaining knowledge. Video streaming website business is the most profitable and trending business in the digital era. So the Entrepreneurs can start their video streaming website business by using our Open Source Video Library Script and earn high profit from the business. Our YouTube clone is the best video sharing clone in the business industry. In this script, we provide mainly two login for user and admin side. The user can search for videos by desired keywords and watch videos from anywhere and anytime. Each video contains the title and description. After watching the video, the user can share the video with the social networks and able to post the comment and every video is categorized by various categories. Our Video Catalog Script allows a wide range of video formats such as MP4, Ultra HD, Blue-ray, AVI and many more. On the right side of the website, the user can see the most favorite and most rated videos. 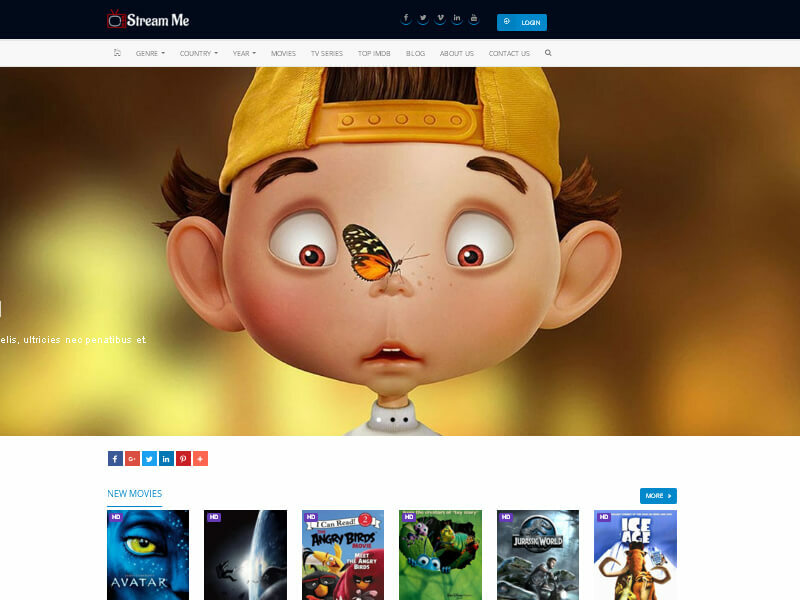 The main features of our Personal Video Collection Script are the smart search option, secure login process, gallery, create and manage channel, attractive user interface, newsletter, CMS management, easy upload of videos, Archives, sitemap, powerful admin dashboard, user management, comments, social media integration, and more on. This script is developed in PHP and MySQL with 100% open source code. Our streaming script is user-friendly to use and code of the website is developed according to the Google algorithm, so the script is safe and secure to use. The revenue models of the YouTube Clone Script for the website administrator are Google Ad sense, Banner advertisement, membership plans, and commission models. Customization of the YouTube Script is possible regarding the client needs and our video sharing script fulfill all your goals of the video streaming websites. The admin dashboard of the video script has fully featured admin panel, so it’s easy to set up and manage the script. This script allows admin to add, edit or delete the videos in the channel. Without knowing any technical skills, the admin can control the entire site. In the dashboard, the admin can see the entire details such as total registered users, posts, comments, total genre, stars, countries, and many others. For this Video Collection Script, we provide 1-year technical support, 6 month free upgrades of the source code and brand free website to the clients. I feel great to use this personal video collection script, where I got a huge fan following crowd from my site. I changed this script everything according to my wish. I used this script from my tablet only so that I could use it from anywhere anytime. I was able to post all my videos very easily without any difficulty. In my point of view this script was having unique design and very well functionalities. They are easily sort out their customer’s problem. I wish who looking for video collection script go to buy this script in PHP Scripts Mall team they guys are done a job in very well. Recently I bought Video collection script this is one of the best purchases. I am very happy; now easily share my videos using this script with excellent customer service. If anyone looking to buy a videos script my wish go to buy this script in PHP Scripts Mall.